… and regular session on Thursdays 6pm (60mins €8) – PLEASE contact me the day before to confirm you want a place – leave a message on this page and I will text or email you the venue on the day itself as this may change according to how many book in – it may even take place on the BEACH!! Visiting holiday groups: you can book a group session at a time of day and Yoga-intensity to suit you – why not get in touch when planning your trip? If you are interested in MEDITATION, I have a regular 1hr session on Saturday mornings – it’s free for the Summer, but only available by prior arrangement so please get in touch. Thursdays 6pm (60mins €8) – PLEASE contact me the day before to confirm you want a place – I will text or email you the venue on the day itself as this may change according to how many book in – it may even take place on the BEACH!! 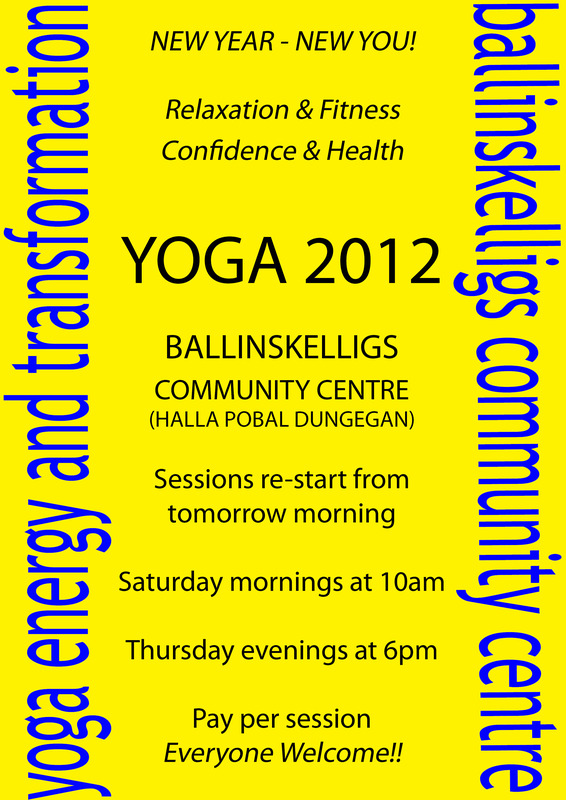 Yoga Ballinskelligs – New Sessions Begin! PAY PER SESSION – EVERYONE WELCOME!! Yoga Sessions Now Ceased for the Summer! 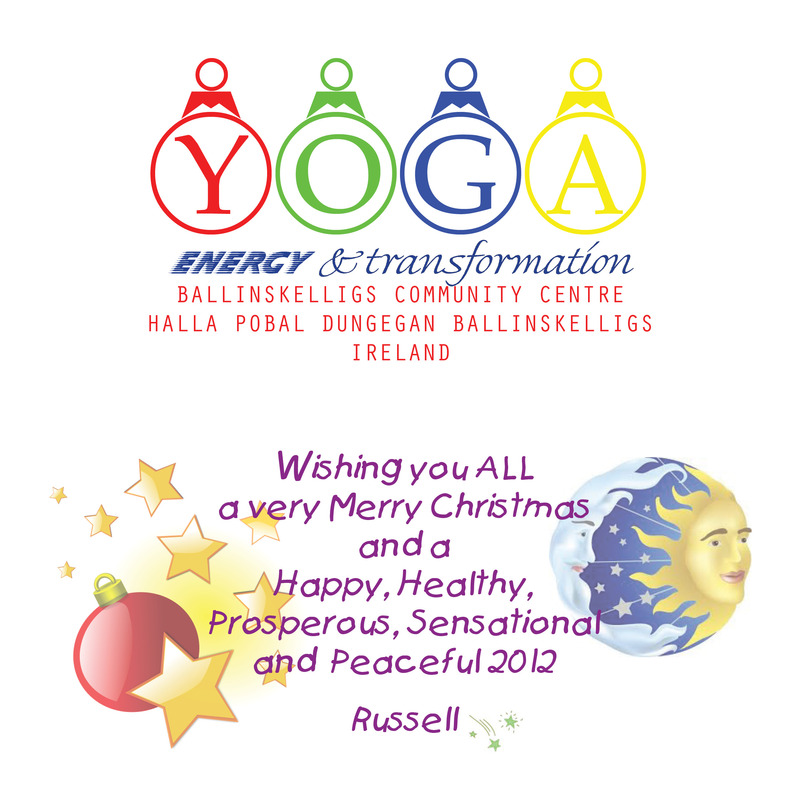 Thanks to all who attended my Yoga sessions through from September 2011, and thanks to all managers and staff of Ballinskelligs Community Centre (Halla Pobal Dungegan) and Cahersiveen Marina for your great support and enthusiasm! 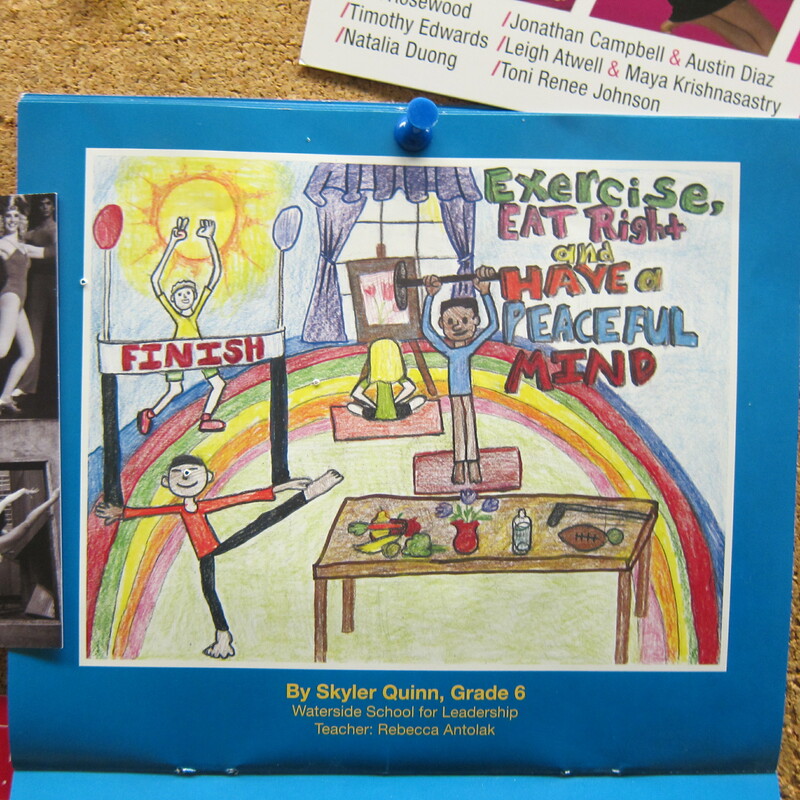 YOGA Energy and Transformation will resume in late September – futher details will be posted on this Web site. 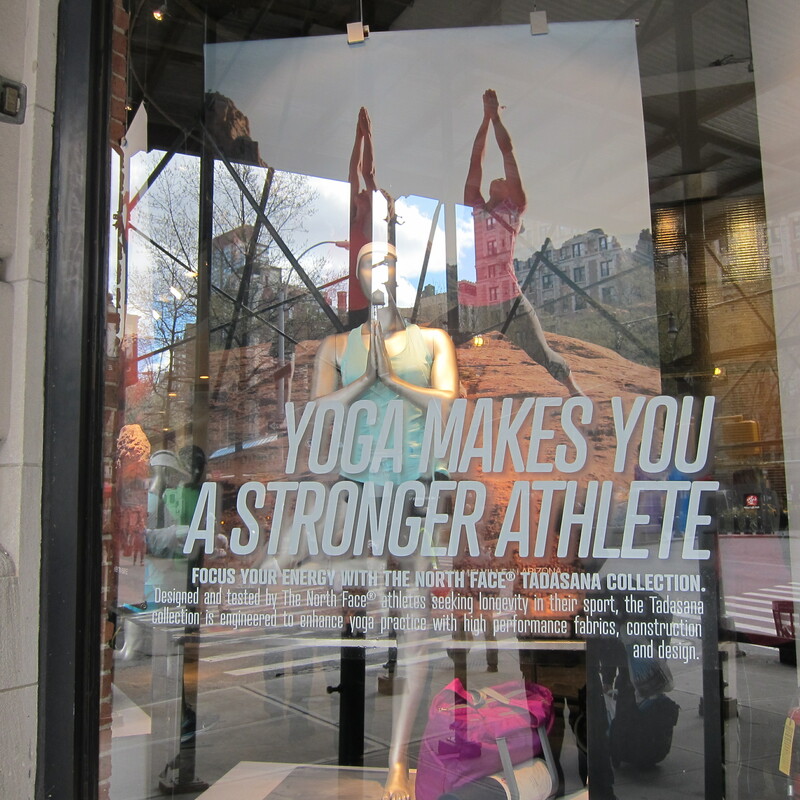 … The North Face (New York City Upper West Side) says so!!! So… I guess you do too!! Meditation and Wild Places – a Wonderful Place to Be! Experienced meditators seem to be able to switch off areas of the brain associated with daydreaming as well as psychiatric disorders such as autism and schizophrenia, according to a new brain imaging study by Yale researchers. 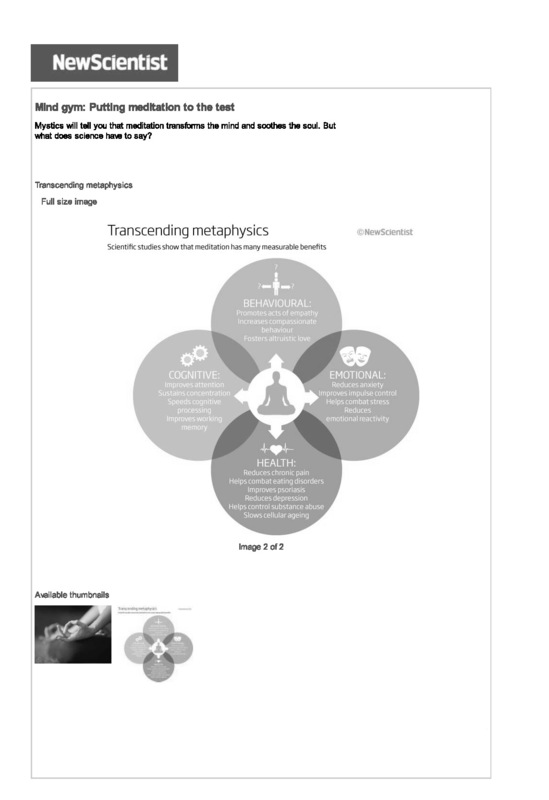 (Yale News 21 November 2011) – see full text here. To view our programme of events linking Wild Places to Meditation click here. 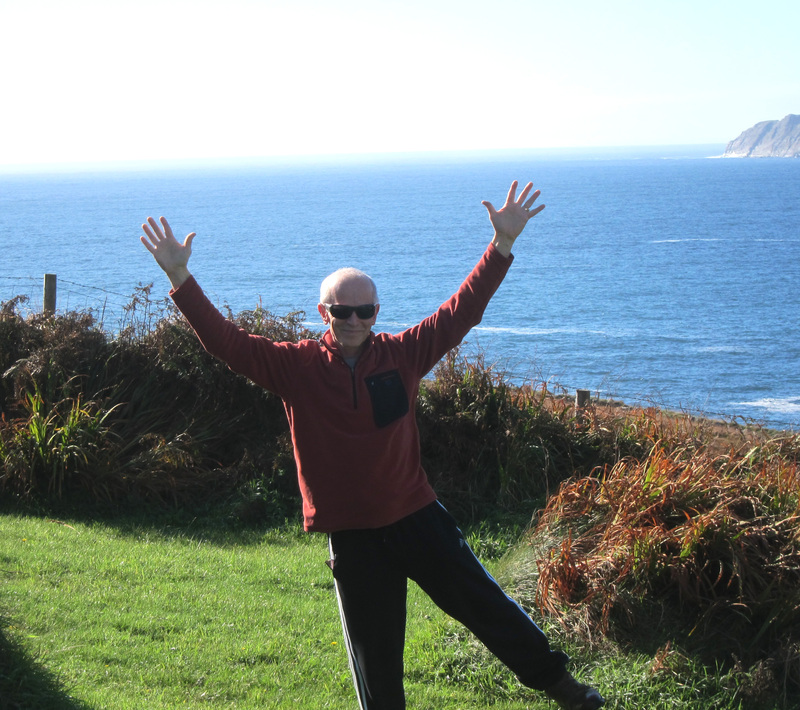 YOGA IN CAHERSIVEEN – new Yoga Sessions starting NOW! 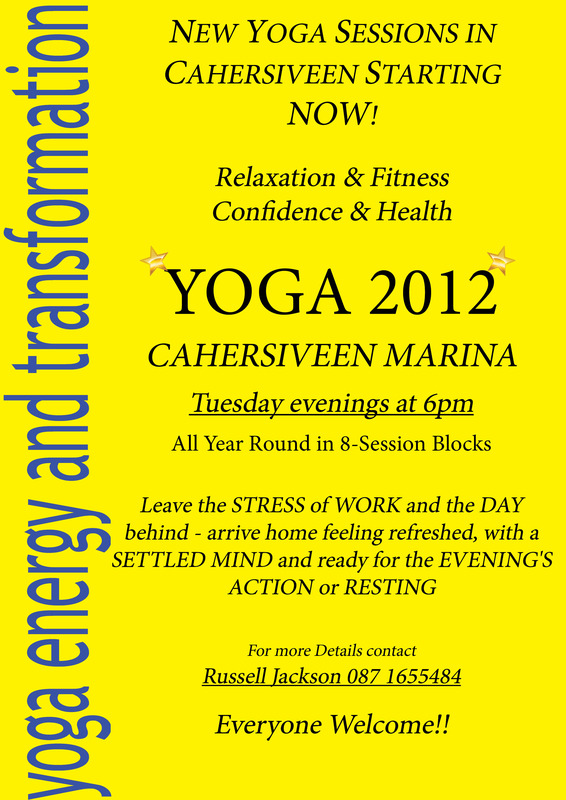 I have been invited to start teaching Yoga in Cahersiveen! So I said Yey!, that seems like a great idea as quite a few Cahersiveen residents and business people have enquired about Yoga but can’t get to my sessions in Ballinskelligs! This should be excellent for anyone on their way home from work, or someone who simply prefers an early evening session, leaving the rest of the evening free. Cost per Session is €12 for 1 hour of Energy and Transformation Yoga.. it makes sense to invest time and money to maintain and enhance your health and fitness; both of which are essential for confidence and peace of mind! Sessions will run all year round (except, of course, when I’m on holiday or away on business). 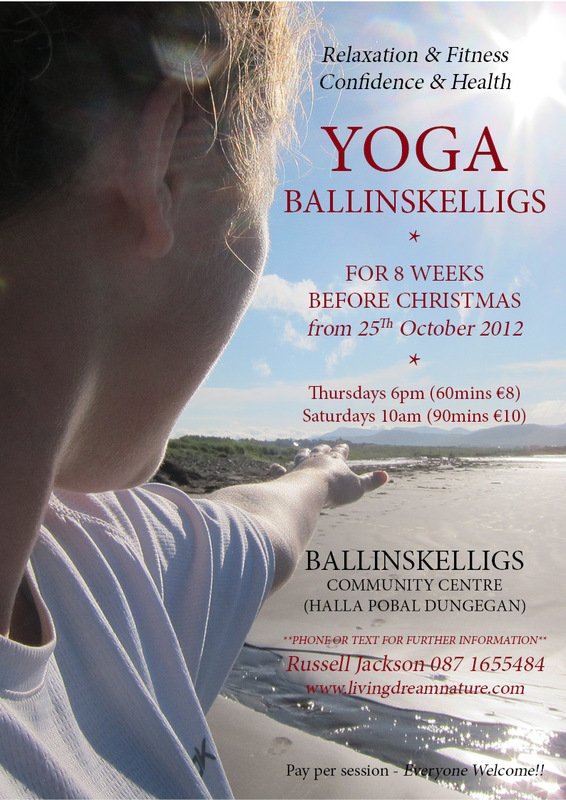 YOGA 2012 – Ballinskelligs – You know you want to… so just do it! My sessions are suitable for women and men with all levels of Yoga experience, including those completely new to Yoga. My Yoga sessions are not only enjoyable and immediately beneficial, but they have the potential to transform, in a highly positive and sustainable way, your physical and cognitive fitness, reducing you stress levels, increasing your flexibility and your agility; and even enhancing your looks, confidence, poise, self awareness and self esteem! 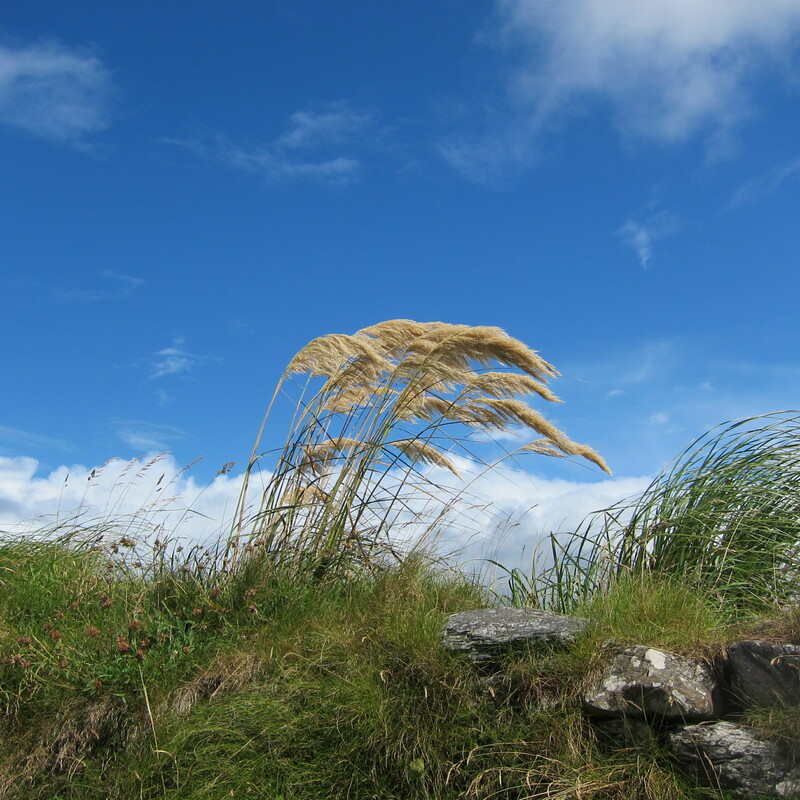 … and it’s all here ‘right on your doorstep’ in beautiful Ballinskelligs, South Kerry – so, what are you waiting for? MEDITATION… you needn’t be an expert to reap the benefits! In our MEDITATION IN WILD PLACES programme for 2012 we are offering a unique introduction to Meditation for beginners; to connect with Meditation in a whole spectrum of ways and also spend time in one of the most beautiful and spiritual places in the world – the South Kerry region of Ireland (The Iveragh Peninsula). And, for those who already Meditate, a chance to broaden and deepen your experience in spectacular surroundings of mountains and sea, light and shade, colours and contracts, beautiful lonely ‘Blue Flag’ beaches, music and traditional dance and local people World renown for their warm welcome. … but what are the much talked of benefits of Meditation?